Apple is looking to gain a stronger foothold in businesses. The company just signed a new deal with SAP that will see the German accounting software giant building hundreds of apps tailored for Apple’s mobile devices like the iPhone and iPad. The announcement comes almost two years after Apple made a similar deal with IBM. A big part of the partnership will be around the SAP HANA platform, the company's system of relational databases and one of its flagship products. In a nutshell, the two will release a SDK by the end of the year to let SAP customers and consultants write native apps for Apple devices that can access core data and business processes on SAP’s platform while also taking advantage of features like Touch ID, Location Services, and Notifications. The two will also collaborate on setting up technology training centers in Palo Alto, California; Bangalore, India; and at its Walldorf, Germany, headquarters. Apple and IBM's partnership reached the 100 app milestone by the end of last year covering verticals including government, healthcare, telecommunications, insurance and more. 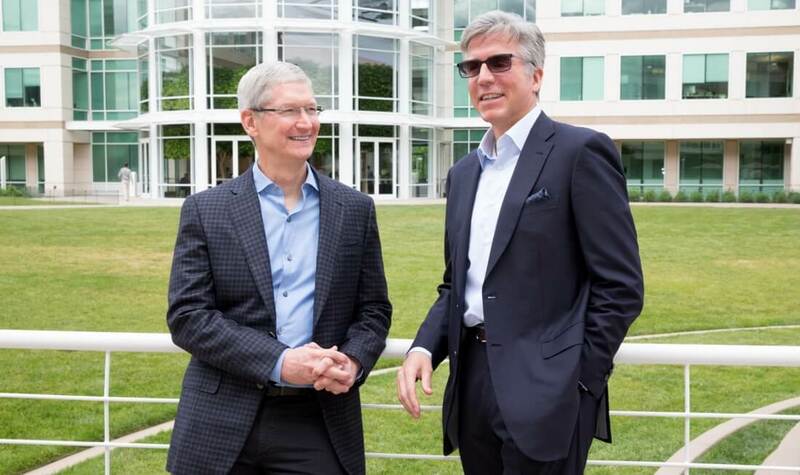 With SAP’s huge presence in the enterprise market Apple is hoping to even more of this increasingly segment at a time when its once blockbuster growth is slowing down.